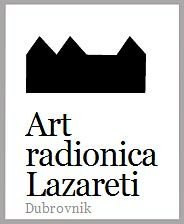 An independent cultural centre Art radionica Lazareti (Art Workshop Lazareti) is located in well known Lazareti building – a 14th century’s Dubrovnik’s old harbour quarantine. The workshop is established in 1988 with intention to promote ‘social equality and cultural diversity through multimedia’. The organisation includes art workshops, contemporary art gallery ‘Otok’ and a Lazareti night club. Promoting independent and investigative approach to contemporary art and culture, the organisation cooperates with local and international artists, groups, movements and institutions involved in same or similar projects. Due to its high quality art programme it is considered to be among the most important and influential contemporary art organisation in the country. The project is run by Slaven Tolj, a well known Croatian art curator and performance artist. The art workshop is opened all year around and if you are contemporary art fan it should not be missed when visiting Dubrovnik.